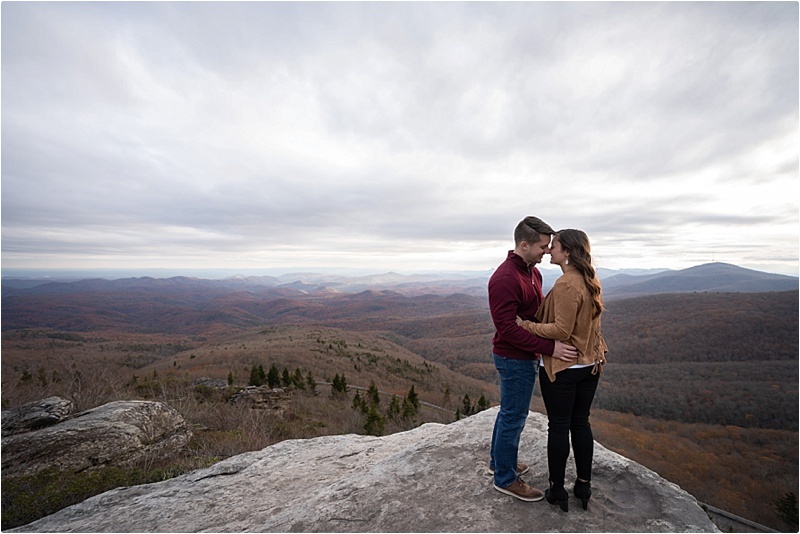 We always try to come up with the best engagement shoot ideas for our clients and sometimes their history together helps paint a clear picture where their engagement photos should be taken. 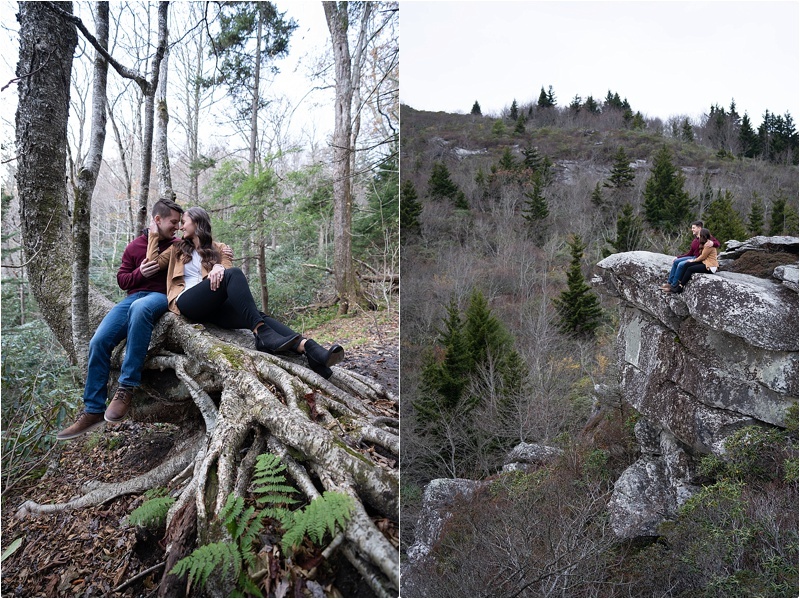 For Beka and James that location was crystal clear – their session should be in the NC Mountains! Let me tell you why… James proposed to Beka in Colorado on a surprise hiking trip, Beka told me it was an amazing trip full of exploring and indulging. After hiking to the overlook at Sapphire Point, James proposed and she said YES! They went to WVU and have a love for college football and their favorite team are the MOUNTAINEERS of course! 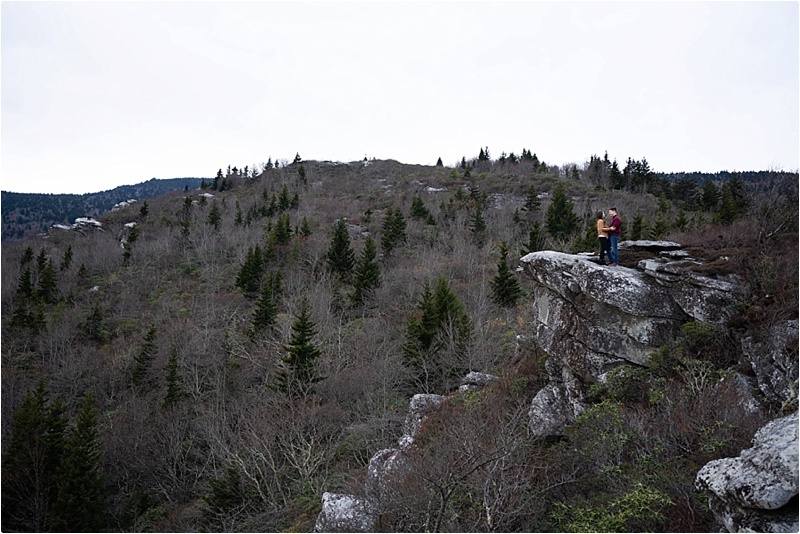 So you see, the mountains were a perfect choice for their engagement photo shoot. I love the fact that Beka and I are always honest and open with each other and can have the toughest conversations with each other. Since we had a long distance relationship for the first couple years of dating, good communication has become a key part of our relationship, which we have carried on into our everyday lives together. I love the way James walks into a room and has everyone laughing within minutes! His humor is one of the first things that attracted me to him. He is very positive and has a “glass half full” attitude – always looking for ways to make me smile when I am down. I love that we are a team and when we are not together people always ask, “Where is James/Beka?”. Last, but not least, I love how much my family loves James and I know my dad would have loved him as well! This is me with Beka and James after our shoot. My husband calls me the selfie queen.